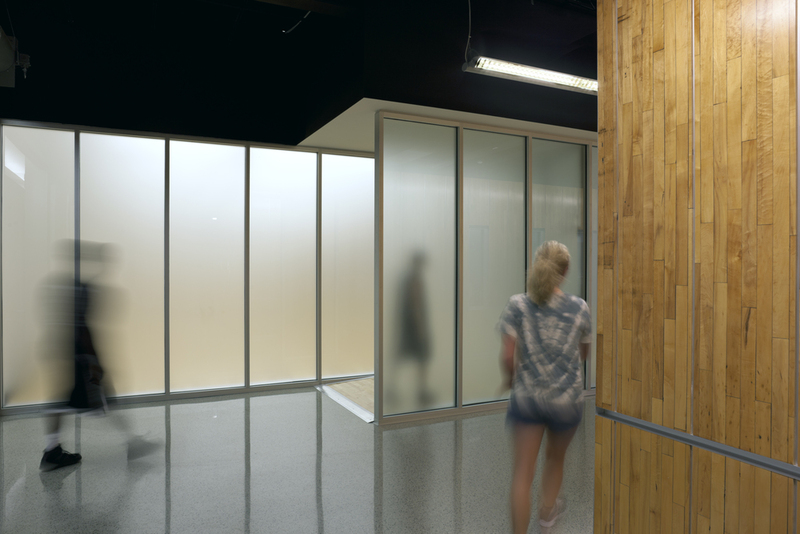 This university student recreational facility includes a new addition that adjoins two pre-existing historical buildings and houses diverse activities that include class rooms, study spaces, informal gathering, athletic equipment and a cafe. 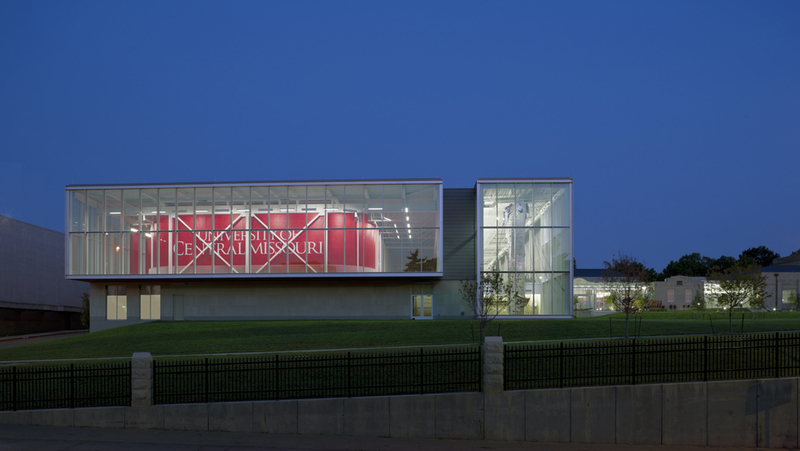 In addition to practical illumination requirements, light is used strategically to orient students to programming and delineate transitions between new and historic structures. Linear fluorescent coves in the circulation pathways highlight the original stone façade, mark the intersection between historic and contemporary buildings and create a vertical reference for visual orientation. The lower tile ceiling allows consolidated routing of HVAC and is intentionally dark to offer aesthetic separation between circulation and programmed athletic spaces. 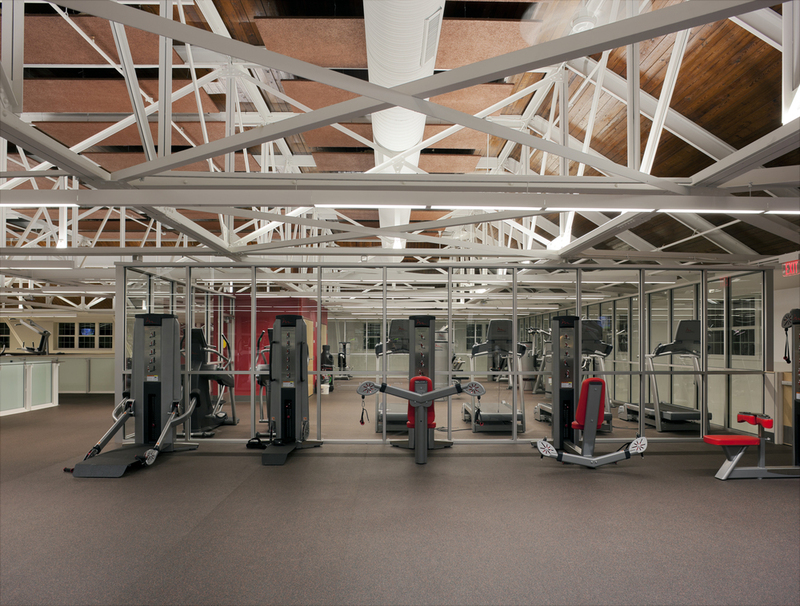 By contrast, ceilings in the athletic areas are strategically raised, light in tone and open to the exterior where daylight penetrations and views are maximized. Edge relationships of these spaces to circulation are emphasized through the application of indirect coves.